Pastry chef Rory Macdonald's first solo venture, Chanson in the Flatiron District, offers breads and pastries, sandwiches, salads, soups and afternoon tea by day and a tasting menu of desserts at night. Chanson, 20 W. 23rd St., New York, NY 10010, 929-423-8880. Toshio Suzuki, formerly of Sushi Zen, trained chefs like Masaharu Morimoto. Now he has a new midtown restaurant, Suzuki, with his son Yuta. 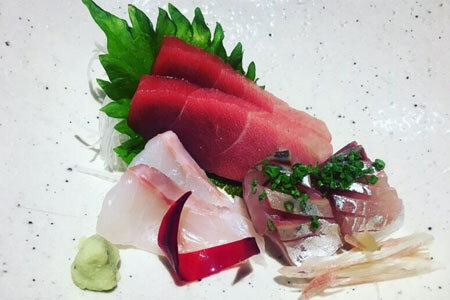 The spot includes a ten-seat sushi counter (Satsuki) run by Toshio and Kentaro Sawada, a cocktail bar (Three Pillars) and a kaiseki restaurant (Suzuki, opening in April 2017) with chef Takashi Yamamoto. Suzuki, 114 W. 47th St., New York, NY 10036, 212-278-0010. Brooklyn bakery Bien Cuit has opened a Manhattan outpost in Grand Central Market. Zachary Golper and his wife, Kate Wheatcroft, sell their crusty French breads alongside curried choux puffs and croissant bread pudding. Bien Cuit, Grand Central Market, 89 E. 42nd St., New York, NY 10017, 718-697-0526. Meatpacking District bar and lounge The Lately offers food from LDV Hospitality and drinks courtesy of Den Hospitality. Expect New York street eats along with inventive cocktails. The 3,400-square-foot venue was converted into a sort of upstate cabin. The Lately, 357 W. 16th St., New York, NY 10011, No phone. Argentinean chef Norberto Piattoni left San Francisco's Bar Tartine to open his Fort Greene restaurant, Mettā. From flames to smoke and embers, cooking with fire is the name of the game here. His kitchen turns out dishes like ash-roasted sweet potato with elecampane-infused whipped cream and pork steak with charred cabbage and crabapple sauce. Mettā, 197 Adelphi St., Brooklyn, NY 11205, 718-233-9134. Two Contra alums, Diego Garcia and Phil Johnson, have partnered in this Hell's Kitchen restaurant featuring fresh fish and seafood. Gloria serves dishes like lionfish tartare with watermelon radish, jalapeño and barley and skate wing with tomatillo and nopales. Look for creative cocktails and craft beers on tap. Gloria, 401 W. 53rd St., New York, NY 10019, 212-956-0709. Samantha Safer and chef Claire Welle have launched Otway in Clinton Hill. They serve dishes like veal heart skewer with black garlic and pork with wheat berry and charred rutabaga. The restaurant is situated in the former Tilda All Day space. Lunch Sun. ; Dinner Mon., Wed.-Sat. Otway, 930 Fulton St., Brooklyn, NY 11238, 917-909-1889. Kazunori Nozawa and company (SUGARFISH) have opened KazuNori, specializing in freshly made hand rolls called temaki. Set menus, $13 to $28, feature different kinds of seafood, like salmon, bay scallop, blue crab, yellowtail, toro, lobster and snapper. Tea and saké are available. Lunch & Dinner daily. 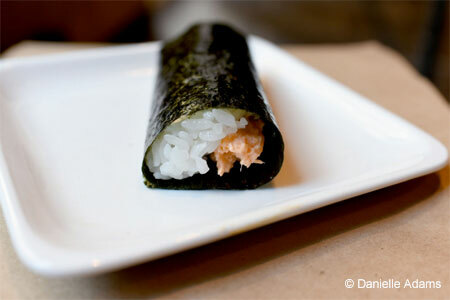 KazuNori, 15 W. 28th St., New York, NY 10001, 347-594-5940. Philip Guardione’s SoHo restaurant, Piccola Cucina Estiatorio, specializes in seafood with inspiration from Greece, Sicily and southern Italy. Seafood is sold by the pound, and meat and veggie dishes are also served. Dinner nightly. 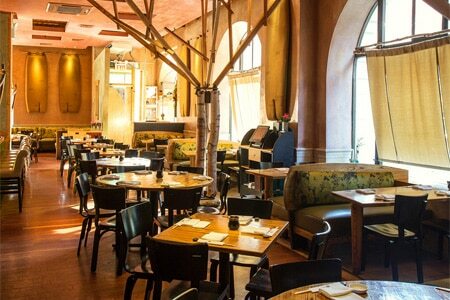 Piccola Cucina Estiatorio, 75 Thompson St., New York, NY 10012, 646-781-9183. Alta Calidad, chef Akhtar Nawab's new Prospect Heights restaurant, is decorated with blue, white and black hues, and a mural by Marysia Schultz. The place serves dishes like pig’s feet carnitas, Coca-Cola ribs and queso fundido “complicado” with chorizo, artichoke and poblano. Dinner nightly. Alta Calidad, 552 Vanderbilt Ave., Brooklyn, NY 11238, 718-622-1111. Mario Carta, the owner of Pardon My French, and its executive chef, David Pegoli, have opened Chouchou in the East Village. The Moroccan spot’s menu focuses on tagines and couscous, and fresh mint tea is served. Dinner nightly. Chouchou, 215 E. 4th St., New York, NY 10009, 646-869-1423. Villanelle in the East Village offers a veggie-forward menu highlighting seasonal produce from the Union Square Greenmarket. Dishes include Brussels sprouts with cheddar and cashews and beef with polenta, horseradish and mustard greens. The restaurant has seating for 44 and 10 more at the bar. Dinner Mon.-Sat. Villanelle, 15 E. 12th St., New York, NY 10003, 212-989-2474. Corner Slice is chef Ivan Orkin's second venture in the Gotham West Market food hall with partner David Poran and former Ivan Ramen chef Michael Bergemann. It’s a coffee shop, bakery and pizzeria serving square pies, breakfast sandwiches and individual-size salami-and-cheese-lard bread rolls. Breakfast, Lunch & Dinner daily. Corner Slice, Gotham West Market, 600 11th Ave., New York, NY 10036, 212-582-7940. Bi-level Lower East Side restaurant and bar The Flower Shop has 1970's-inspired décor, while menu items include mussels on toast with green garlic and a 12-ounce Ste-Wan Farms rib-eye with salsa verde and market greens. Dinner nightly. The Flower Shop, 107 Eldridge St., New York, NY 10002, 212-257-4072. East Village vegetarian restaurant Angelica Kitchen is closing on April 7, 2017, after 40 years in business. Owner Leslie McEachern has served organic, local and vegan food in a neighborhood that has changed drastically since the place opened. Angelica Kitchen, 300 E. 12th St., New York, NY 10003, 212-228-2909. Twelve-seat Carroll Gardens restaurant Take Root closed on March 17, 2017, after four years. Owners and partners Anna Hieronimus and Elise Kornack are moving to a house in upstate New York. Take Root, 187 Sackett St., Brooklyn, NY 11231, no phone. Chef Nobu Matsuhisa's Nobu New York and Nobu Next Door closed after service on March 25, 2017. (The shutters are in preparation for the opening of Nobu Downtown, which boasts 12,000 square feet of space designed by David Rockwell and his firm, Rockwell Group.) Nobu New York, 105 Hudson St., New York, NY 10013, no phone.